”It’s just a bit of inexpensive fun,” says Robin Liddell, of the prospect of the Scot running in the Chelmsford Motor Club Preston Road Rally next month (the night of 9/10 December). The Preston Road Rally is reckoned to be one of the best road events in the UK. It starts at 23.00 and finishes at about 05.00, and of the 120 stage miles, over 80% are on private roads. The potential winners take it very seriously indeed, so for a newcomer it might be something of a challenge. 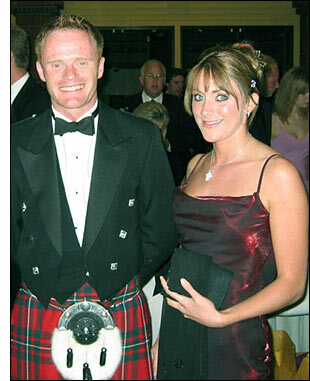 Robin Liddell has the perfect co-driver though: his girlfriend Louise Flitton. Perfect for what though? This could lead to the ‘barney’ to end all barneys, between partners. “The roll-cage is going in this week,” adds Robin Liddell, “and it’s going to be pretty busy getting it all finished, but we’ll get there. Phil Bennett and Michael Vergers are driving BMW 325s in the event. 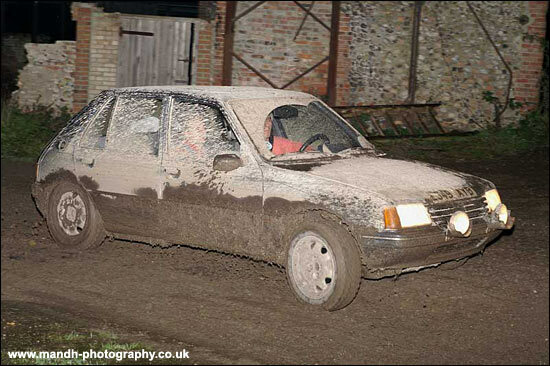 Here's a Peugeot 205 in last year's Preston Road Rally: Louise, do you know what you're getting into here?